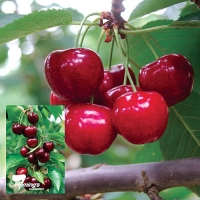 Daleys Fruit Tree has Plants for Sale to Sun Valley (nsw) and can Mail Order them to you door. Click to Find out how much Freight Will Cost. 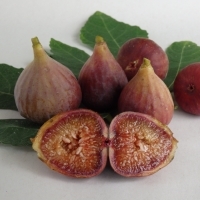 A Fleming's quality introduction Produces firm, large, crimson red, heart shaped fruit with an excellent sweet flavour. Precocious and heavy bearing. An excellent choice for the home orchard. Used for fresh fruit, jam and preserving. Mid- to late season maturity. Suitable for small to medium gardens. 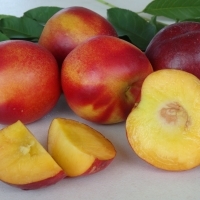 A yellow-fleshed nectarine to 150 hours chill. A semi -clingstone, oval fruit, small to medium size with attractive colour, (80 - 90% blush), slightly soft flesh, good flavour. Very early fruiting. 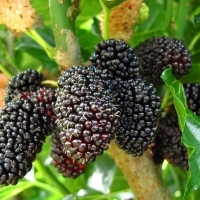 Thin fruit to get good fruit size.